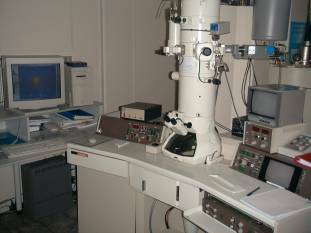 Equipment available at the Faculty of Materials Science and Engineering at the Warsaw University of Technology offers a wide spectrum of the TEM investigations. Quality of the machines and workers’ long experience allows characterization of the materials microstructure at the sophisticated level including dislocation network, precipitates and chemical elements distribution and phase identification. The microstructure investigations on the atomic level by high resolution TEM is also possible. 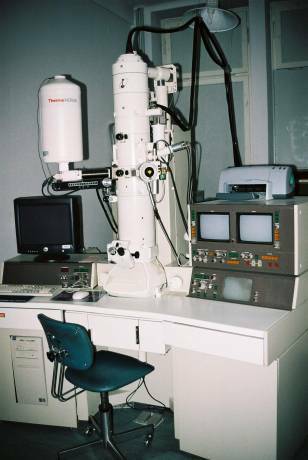 In order to attempt a full understanding of the materials behavior the in situ TEM heating, cooling and straining experiments is possible to apply using available equipment. The TEM specimens might be prepared by electro polishing - in case of conductive materials, and ion polishing - in a case of nonconductive materials and composites. More on sample preparation and on speciment preparation lab equipment can be found here. Formally, within the Faculty structure, the devices are located in the Materials Science Basics Division, but as they are extensively used by Materials Design Group members, we have listed them here. 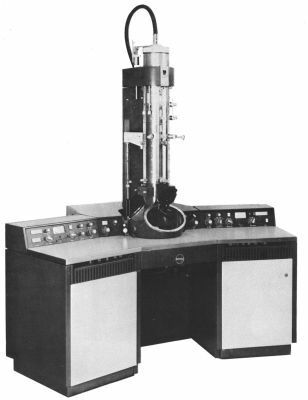 Scanning Transmission Electron Microscope (STEM) JEOL JEM 1200 EX equipped with Energy Dispersive Spectrometer (EDS) made by ThermoNORAN allows chemical composition analysis in volumes of tens of nano-meters and chemical elements distributions characterization in chosen areas or along lines.